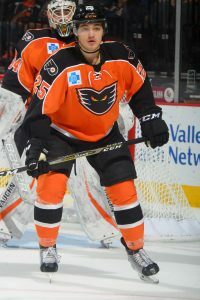 Lehigh Valley, Pa. – The Lehigh Valley Phantoms, proud AHL affiliate of the Philadelphia Flyers, have returned on loan defenseman Frank Hora to the Reading Royals of the ECHL. A 21-year-old blueliner from Cheektowaga, New York, Hora is in the midst of his first professional season and has spent the majority of this year with the Royals where he’s compiled one goal, 13 assists and 14 total points across 62 games with Reading. Before starting his professional career, he spent four seasons with the Kitchener Rangers of the Ontario Hockey League (OHL) where he produced 11 goals, 80 assists, 91 points and 235 penalty minutes in 241 games. The Phantoms begin their quest for the 2018 Calder Cup Championship this Friday, April 20 and Saturday, April 21 at Dunkin Donuts Center in Providence with Games 1 and 2 of their Atlantic Division Semifinals against the Bruins. 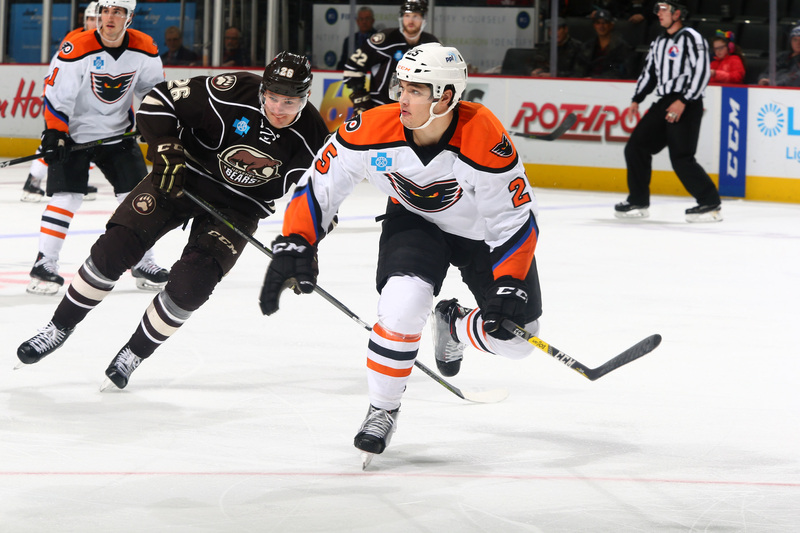 Both games will begin at 7:05 p.m.
On the verge of the club’s 12th postseason appearance in franchise history, the Phantoms have captured two Calder Cup Championships (1998, 2005) and carry a 58-52 overall mark in 110 career AHL postseason outings. This is the fifth regular season division title in franchise history and the team’s first since arriving in the Lehigh Valley. Playoff strips, 10-game flex packs and single game playoff tickets to the 2018 Calder Cup Playoffs are all on sale now!